The quote above was lifted from the comments section in a 2007 article on chronic fatigue, which is interesting in its own light, as it discusses a viral hypothesis for CFS/ME. Rather than going into this now, which is plausible to me based on the positive impact of FMT on CFS, considering a healthy microbiota is likely to be inherently anti-viral, I’d rather stick with a discussion of the biomechanical overlap between IBD/CFS-ME/POTS, and then relate that to gut ecology. I suffer from CFS/ME in addition to ulcerative colitis, asthma, and other inflammatory conditions. I also, as many of you know, have a history of neck trauma, caused in a traffic accident years ago. For me, the neck injury acted as a trigger for most of my health issues, so I have recently suspected vagal nerve damage as a possible root problem. The VN mediates inflammation and immunity in the body, to a large extent, and controls heart rate/BP, hormonal output (adrenals, chief among them), organ function, including gut transport (suggesting constipation, GERD may be related to VN damage), so it’s easy to see where a wide range of symptoms could have this common thread. I’ve dubbed it the “Gut-Neck Axis” because I’ve found healthy alterations to my gut flora are just as curative (or at the least, beneficial) as achieving proper alignment of my neck! Either will provide relief, whether it’s a glass of home-brewed kefir, a chiropractic adjustment, or a manipulation I can do on my own. Why would this be? Does an adjustment of my neck release electrical “noise” in my central nervous system, a bottled up energy produced by pathogenic or translocated gut flora (SIBO), or is it simply taking pressure off my vagal nerve, which could allow it to engage more bandwidth in performing its tasks? My guess is both are true, because the neck is the physical fuse box between the brain and the enteric nervous system, the “gut brain”. When hyperadrenergic POTS kicks in for me, my blood pressure and heart rate accelerate, I get obvious tinnitus, a stuffy nose, my gut stops moving, and I get very heat-intolerant. Much to my amazement, in recent days the use of a posture pump will stop all these symptoms, and quickly. Right away, I can feel peristalsis occurring, my nose opens up and I can feel my blood pressure dropping. If I’m in the car and don’t have access to the device, often times just relaxing my neck, jutting my lower jaw forward a bit, and tilting my head back slightly will do the same. I’ve found it’s important to also try to elongate my neck as much as I can, by using muscles that extend it, whilst I simultaneously try to keep it limber, not stiff. At other times I get relief from just gently pushing in on my lower jaw (while it’s very relaxed), which seems to realign upper cervical vertebrae. There’s a zen to achieving this posture. It has taken practice, but luckily I get instant feedback when I’m doing it right, so I’ve made good progress. By the way, it should be noted since we’re all different, I’m not recommending anyone try what works for me. This is not medical advice, and anyone reading along should consult their physician before attempting anything described herein. The third leg of the stool, in this Axis, is active stress reduction. In any situation where I feel a high sympathetic state coming on, calming my mind, paying attention to breathing ( in for a count of 3, out for a count of 4) will act as a brake, and slow things down. For me, CFS/ME feels like a cardiovascular issue. I notice when hyperadrenergic POTS symptoms are flaring, I find it exhausting to stand; with my neck aligned properly I have much more energy. One theory regarding a trigger for CFS is a vagal nerve infection, and I am not discounting this, but what if it’s also an impinged nerve, a transient impairment, that can be corrected with a spinal adjustment? It’s pretty clear to me my health issues have multiple avenues for healing, and there’s likely to be more than one root cause. So to my broader point: in an attempt to simply feel as good as possible, I’ll continue to do each and every thing I’ve learned is having a positive impact on symptoms, whether it’s biomechanical or more related to gut flora. Since we know it’s a feedback loop, my theory is a neck injury can create a pro-inflammatory state in the gut that discourages the growth of vital gut flora. Stress can, too. Each of these, in turn, creates an inflamed gut that further discourages a healthy microbiome. It’s a vicious cycle. But by adding in cultured foods, probiotics, FMT, perhaps this reduces the electrical “noise” in the CNS, which makes mechanical manipulations less important. I do know when I’ve done FMT a few times, it’s as if I’ve been seeing a chiropractor regularly. It’s all about relaxation, tilting over into a more parasympathetic-dominant mode, and a happy neck creates a happy gut, creates a happy brain. Furthermore, getting back to CFS, I notice FMT gives me a lot more energy. I can see where in the study cited above they may have had a much higher response rate with CFS/ME if the participants had simply done FMT for a longer period of time, say 6 to 8 weeks, rather than merely two to three days. I’d love to see another FMT study where participants were also given gentle chiropractic adjustments with an activator tool, massage therapy, and participated in guided meditation. In the comments section I’d appreciate hearing from you. What are your own coping methods for cooling off the gut brain, staying in a more parasympathetic (restful/restorative/digesting) state? Also, if you have identified a neck-related trigger for IBD or CFS, which biomechanical approaches help the most? Have any of you had cervical spinal (neck) surgery? If so, what results have you had? I figure someone out there with IBD (ulcerative colitis or crohn’s) has had cervical spinal surgery and I’m very curious if this may have alleviated or improved the IBD. IBD and Vagal Nerve Issues: the Gut/Neck Axis? Is it possible some of us with IBD also have an underlying neck injury, which drives gut inflammation? The average human’s head is about the weight of a bowling ball, so it’s not surprising the neck can experience trauma due to an acute injury, or chronic misalignment through smart phone use (text-neck!) , poor posture on the job, inactivity, etc. For me, inflammatory conditions began with antibiotic use, but they got MUCH WORSE after a neck injury, sustained in a traffic accident, several years ago. Initial symptoms were a stuffy, blocked nose without congestion, then asthma, sinusitis, tinnitus, TMJ, constipation, IBS, and a few years later ulcerative colitis. UC lead to inactivity, more time spent in front of a computer, degenerative changes in my neck, throw in a dose of Levaquin for food poisoning, then SIBO, food intolerances, hyperadrenergic POTS, heart palpitations, GERD, panic attacks/anxiety, and finally chronic fatigue. I’ve had quite a few breakthroughs with health in the last few years, but the most profound occurred about a week ago when I realized many of these symptoms I’ve had for years (while directly linked to antibiotics use) are also mediated by my posture, specifically, if my neck is in an unhealthy kyphotic curvature (reverse of normal alignment) or wonderful, yet illusive, lordosis . What’s the inflammation connection? The vagal nerve runs throughout the body, getting its name “the wanderer” from the widespread path it travels, but it threads its way through a narrow channel in the cervical spine, such that compression of soft tissues between the upper cervical vertebrae can impair a lot of vagal function. This is my layperson’s view. Let’s see if our experience bears this out. Given that the “fight or flight” response includes a clenching of neck muscles, in preparation for fleeing, is it possible this reduction of parasympathetic response (relaxation) is partially a built-in biomechanical feature of our bodies? If so, chronic stress, with its attendant tightening of that upper cervical spine, may be a vicious cycle — one that we can fairly easily monitor and turn around! In a previous post I mentioned the posture pump I’ve been using. It’s fairly inexpensive, and definitely effective, but also impractical for anyone out and about in the world. What if we could do something similar with no equipment? Enter the “Alexander Technique“. I’m warning you: this practice is so simple, you may wonder if you’re doing much at all, but when performed properly, you’ll notice a big difference. For some, this perfecting of posture and movement may be all you’ll need. I have developed the habit, in just a few short days, of “sitting tall” in my car, as I’m driving. I tilt my head back ever so slightly, so that my chin is jutting forward. Lordosis! I can feel my nasal passages opening, my sinuses draining. I also notice my blood pressure dropping, as pressure (I assume) is taken off my vagal nerve. I know I’m not the only person who experienced the sudden onset of hyperadrenergic POTS after a neck injury. A cardiologist I consulted a few years ago about my POTS symptoms mentioned one hyperadrenergic patient of his who was a perfectly healthy woman until she got whiplash in a car crash. I’m in touch with another woman via Facebook who had a skiing accident. She hurt her upper cervical spine, and has had POTS (standard, low blood pressure form) ever since. This is certainly sad, especially given how little the allopathic doctors understand about hyperadrenergic POTS, or UC and other forms of IBD — typically they are good at treating acute symptoms — but if permanent neck trauma is indeed part of a multi-factoral range of inflammatory triggers, we can at least try to heal vagal nerve function from the gut side of the equation. Our enteric nervous system is a feedback loop, so the Gut/Brain/(Neck?) Axis works in reverse, and if we have mechanical impairment “upstairs”, boosting gut flora signaling via the vagal nerve, from gut to brain, may compensate for the neurological impairment in some people. I’ve been tinkering a lot with eating gut bugs (in yogurt, sauerkraut, my own homemade kefir and probiotics) that may promote parasympathetic (relax and digest) activity. More on that in a future post. Does anyone else have a history of neck injury or strain that could explain more global issues? If so, I’d appreciate hearing from you in the comments section. EDIT: since writing this article not long ago, I’ve spoken to huge numbers of IBD sufferers who had a neck injury immediately preceding the onset of their illness. I’d appreciate your feedback. If you’ve had a similar experience and would like me to include your story in a future post, send me an email via the contact form. Thanks! How did I get here? My symptoms of a stuffy nose and breathing trouble began after a motorcycle accident 22 years ago. At the time, I was more concerned about the rest of my body than my neck. It was stiff and sore for a few weeks, but I shook it off, and moved forward in life. About a month after the accident I began getting asthma attacks that would start with a stuffy nose. Tachycardia was also an issue, cropping up when I was exposed to allergens like house dust. Too bad some doctor back then didn’t order imaging studies of my neck. They probably would have seen the loss of normal curvature (lordosis) of my cervical spine, a condition known as “kyphosis”, which can be caused by traumatic injury. I saw a neurosurgeon last week, and he felt surgery to open up my cervical spinal channel would improve my symptoms. He couldn’t promise anything — a favorable outcome, reduction or elimination of any specific symptoms, and he cautioned I might come out of the surgery feeling worse. “I can’t predict the future”, he said more than once. He suggested gentle, focused chiropractic, and neck traction, as things to try instead of surgery. Overall, his was an honest assessment, and one I could appreciate. But I’m not ready for someone to cut into my neck yet. And this particular surgeon seemed to know nothing about POTS. I described my symptoms and he referred to them as “vague” or “diffused”. To anyone familiar with dysautonomia, I would consider my description as classic, and typical, of autonomic nerve dysfunction, orthostatic intolerance, but these are not common diagnoses, unfortunately. So I’m trying to tackle my health issues on a limited budget, and get the most impact I can for the effort. Neurofeedback worked well to deal with the background anxiety of illness. All these symptoms take their toll, and I felt these sessions were soothing me, but the effects only lasted a few days, and they were not cheap. In the last week I’ve seen a new chiropractor who uses the “activator” method. It’s a precision hand tool that delivers a measured, consistent pulse of pressure to the spine, in a focused, gentle way. Most of the time you barely feel the adjustment, but it does work. I’ve noticed the effect bloom over the course of three or 4 days after. And this chiropractor is working in a very methodical way, starting from my hips and low back, paying attention to leg length, and then testing various neurological responses to find subluxations all the way up to my cervical spine. After 3 visits I can say i’m feeling a noticeable improvement, and I plan to continue treatment as long as I can. Thinking back over the development of my health issues, chiropractic has been one of the most helpful, but also has been damaging, when the wrong approach was applied at the wrong time. I want to stick with rehabilitating my cervical spine as much as possible, since it seems to be the source of so many issues. POTS, be it hyperadrenergic like I seem to have (diagnosis pending), or the more conventional hypotension form, can also have an autoimmune component. The last few blood pressure spikes I’ve had didn’t seem overly related to head position, neck movement, etc. Sometimes my neck and head just starts to get hot, and I can feel my pulse and BP rising, usually after exercise or eating a meal. Both activities can release histamines, which in turn can activate mast cells. MCAD, or mast cell activation disorder, is a theoretical cause of POTS according to some researchers. They’ve found for certain patients an antihistamine will control symptoms just as well as more conventional approaches like beta blockers or blood pressure medications. Diet is something I’ve been tinkering with for about a decade, and it has consistently yielded good results. Not necessarily linear progress, but the overall trend has been favorable. Two days ago I decided to give up dairy products altogether, and this was after a dairy holiday of two days reduced or eliminated many of my symptoms. Things like tinnitus — now nearly gone after a weekend of being dairy free. The fullness in my ears, congestion in my sinuses and nasal passages, slowly getting better now. My overall mood seems more stable, less anxious, less brain fog and fatigue. This blogger here has a very interesting theory about casein allergy and how improperly digested casein can affect neurotransmitters, even months after stopping dairy consumption. Basically, they are suggesting casein peptides can “lock up” certain receptors in the brain and create a wide range of neurological symptoms, including insomnia. Sleep, for me, is the final frontier. Just as I thought I was sorting it out, last night I had another episode where I went past the 11pm tipping point, and was soon staring at a clock reading 1:45AM, with pulse pounding. In moments like this, I’ve decided to just take half a Klonopin, which for me is half the lowest .5MG dose, and go to sleep. It works. And sleep is too precious to miss, especially since going without for a night makes the POTS symptoms much worse. The ultimate goal, of course, is to sleep well without any pharmaceutical aid whatsoever. I’m hoping with diet, chiropractic, and things like consistent exercise and meditation, I can achieve this in the near future. I always seem to wrap up with a thought about the worms. My helminthic therapy has been paused by the use of Levaquin antibiotic, but the hookworm and whipworm should be back “online”, laying their eggs, in another 6 to 7 weeks (October 15th). I’m hoping by that time I’ll start to experience their longer term benefits, which could include a reduction of most, if not all, allergic symptoms. Can these worms “cure” my POTS? Well, during my bounce back in April, 2011, all my various aches and pains disappeared. I’d settle for feeling a fraction of that relief now, and have high hopes helminthic therapy will compliment all the other measures I’m taking. 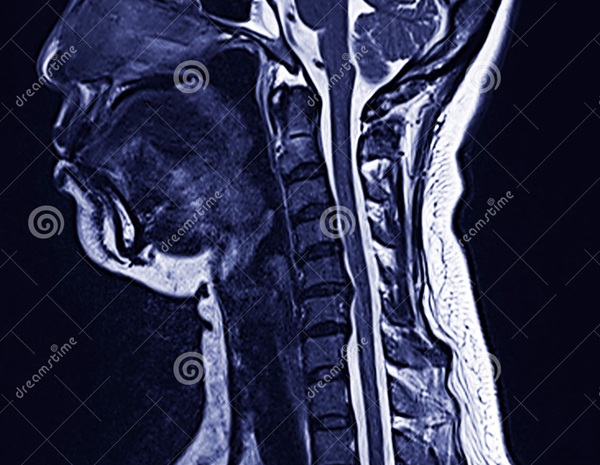 I’m still waiting to get some tests done — A brain MRI with contrast, an EEG, and flexion/extension xrays of my cervical spine to see if certain postures create greater narrowing of the spinal channel or impinge on root nerves. Meanwhile, I’m continuing to have these “attacks”, and they appear to be autonomic nerve-related: neuropathy in my face and hands, tingling in the top of my head, profuse sweating, extreme stuffy nose, high blood pressure spikes, dizziness, tinnitus, and a sensation in my body and mind like the onset of a seizure. Oh, and all of this makes me a bit anxious. One neurologist prescribed a sedative to abort them, which seems to work, but so do mega doses of vitamin C, so I’m trying to go as drug-free as I can when managing it. What sets them off appears to be biomechanical. Last night all it took was sitting in front of the computer and shifting my weight slightly. Then I felt something slip, up high around C2 in my cervical spine, a clicking sensation was audible, then the attack started. No pain, just a lot of weird symptoms, including diarrhea. It’s as if my bowels don’t have a neural connection when this chain of events takes place. Sometimes I’m unable to even initiate peristalsis, and that’s a little spooky. So what does all of this have to do with helminthic therapy? I see a strong potential connection, if I turn out to be one of the lucky people who get long term benefits. Apparently, many ulcerative colitis sufferers, even if they are currently in remission like me, can develop symptoms of autonomic dysfunction, or AD. If that’s the case, and if the helminths can keep my UC in remission, I’m willing to bet they’ll also calm the inflammation in my central nervous system. The fact that HT has been documented as effective against MS, where healing demyelination is the goal, perhaps if there’s an autoimmune component to my autonomic dysfunction I can find relief, too. Right now I’m exploring the possibilities, and I’ll know a lot more with test results. When I look back over how my autoimmune issues have developed, this neurological component (high sympathetic state) is something I’ve been coping with for a good part of my life. These most recent symptoms feel more like a progression from that early point, something where a low threshold was breached, rather than any isolated development. That gives me a lot of hope it can be reversed. Go, worms!